Why the 2020 Census Should Matter to You! 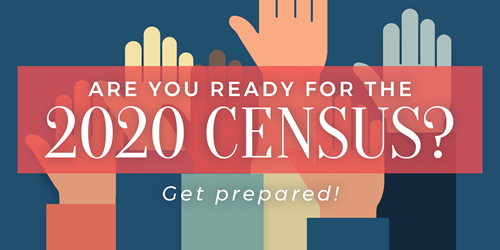 We’ve all got a lot going on, so the approaching 2020 Census might not be at the top of your mind, but it’s worth putting on your radar (don’t worry, we’ll help you get there!) Today’s post is designed to fill you in on all the details on how you can help make it more effective. 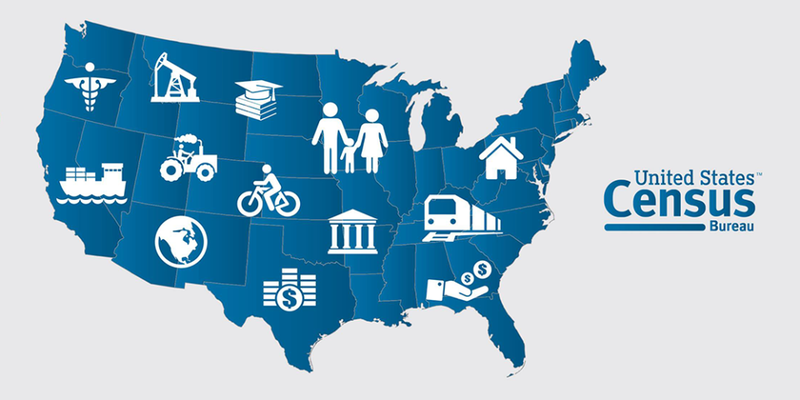 The Census is an official survey of the entire U.S. population. But the Census goes beyond just a total headcount. It provides an overarching view of America that determines how the federal and national budgets are allocated, how congressional seats are appointed, where businesses choose to expand their companies, and many more factors. The Census has far-reaching effects that go beyond a numerical analysis. It can have a profound impact on the country and you, yes YOU, as an individual--politically, economically, and socially. When it comes to the Census, accuracy is key. Undercounting the population is not uncommon and it skews the collective data. As a result, it inaccurately determines how funds are distributed and how various regions of the country get represented. Imagine you weren’t accounted for at school, so when it came time for the class field trip, there was no seat on the bus for you. The same thing happens when people are not accounted for in the Census and so they get excluded from many of its benefits. The fear of undercounting is a growing concern for the Census this year because the administration added a question regarding legal citizenship. This will likely suppress participation among undocumented residents and students supposedly protected under DACA who fear revealing their citizenship status to Census workers. If undocumented families avoid the Census, their children, many of whom are U.S citizens, will not be accounted for. This means roughly 6 million children will be excluded from the reports, resulting in significantly less funding for schools, extracurricular programs, and hospitals. Make sure you and your friends are included in the Census to help activities, such as music classes and sports teams, be added or continued at your school. #BeTheChange and participate in the Census! Yvote's program helps youth develop their skills in individual action, collective action, and electoral politics. They focus on lifting the voices of those often left out of the conversation - students of color and students from low income communities. Yvote's Summer Surge and "18 in '18" campaigns will build the capacity of young leaders reach out to the 11,000 teens who turn 18 each day, and ensure that at least 1 million turn out on November 6, 2018. This would be over 50% than the number of 18 year olds who voted in the 2014 midterms, and could be enough to tip the scales and change the political landscape of our nation. Our fundraising goal of $2,500 will pay for a stipend for one youth organizer to for the entire summer. What's more, the funds we raise are being matched dollar for dollar by the Youth Engagement Fund! Donate today and help us reach our goal of $2,500 to support youth activists! P.S. 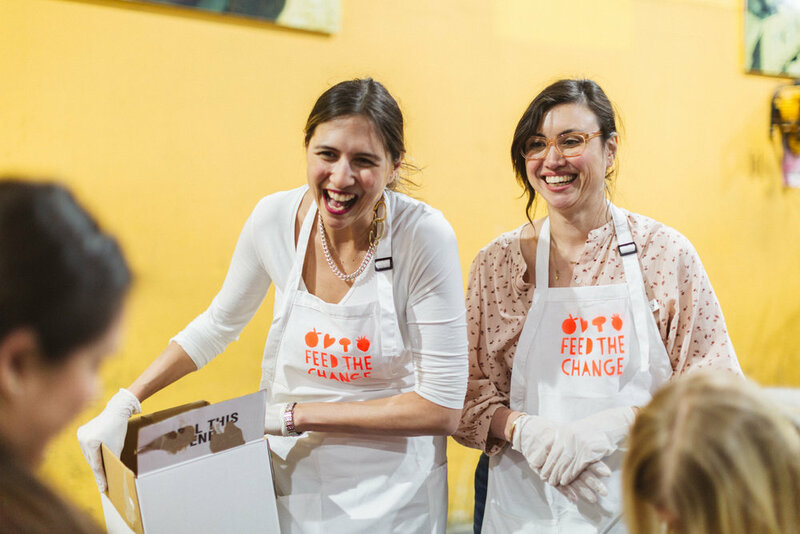 Did you know that a portion of proceeds from Be the Change goes to We Schools to empower youth to make change in their communities, and we donated $1,000 to March for Our Lives? Pick up a copy of Be the Change today, and please write us a review! We were beyond thrilled to be joined by so many amazing moms, girls, friends and fans last week at our launch party! Thank you to all who came out to celebrate with us! Be the Change x WalkWoke! When we first met Rebecca Altamirano, co-creator of the new WalkWoke app, we were star struck. 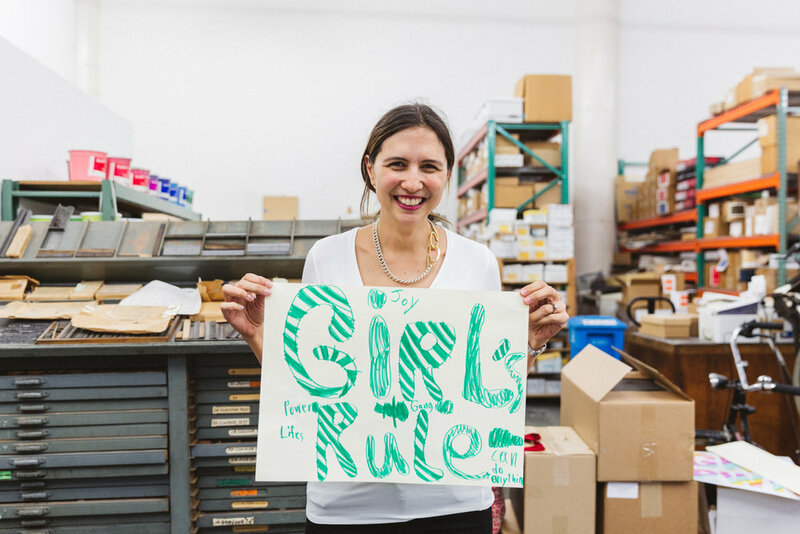 Rebecca is a passionate, whip smart entrepreneur, activist, educator, mom of four. With her husband Antonio, she co-founded Tangelo, a super cool technology venture studio in Silicon Valley, that is entirely minority-owned and run. To top it off, Rebecca was a founding teacher at East Palo Alto Academy high school, so she is super passionate about empowering youth to be the change! One of Tangelo’s newest projects is WalkWoke, a fantastic new mobile app launched in January 2018. WalkWoke lets people to customize and post or print their own protest posters on the go. How cool is that? WalkWoke’s powerful, customizable graphics cover everything from women’s rights to immigrant rights and protecting the environment. While they have an unabashedly progressive political bent, WalkWoke’s posters a fantastic starting point for anyone wanting to amplify their vision for change. The best part? On March 14, we launched our very own Be the Change collection of WalkWoke posters, featuring youth-friendly graphics from our book, Be the Change: The Future is in Your Hands. In creating these designs, we were inspired by giving young people the tools and images they need to make their voices heard. Get-out-the-vote messages since 20 million Americans will become eligible to vote by 2020, and to support campaigns like Yara Shadidi’s Eighteeen x 18…. And gun control messages just in time for this weekend’s March for Our Lives (we’ll be marching in San Francisco!). Overall, we created images with a positive, empowering vibe since being the change is all the about using the power of positivity and peace to make the world a better place! Download the WalkWoke app here to check out the full collection! March on! Happy International Women’s Day! Be the Change is officially LIVE today! We wrote Be the Change to give young people—especially girls—the tools to use their creativity to turn their values, dreams, and hopes for their communities into tangible action for change. Thank you for helping us inspire youth the Be the Change! It is no surprise to us that the Parkland students who are leading the #NEVERAGAIN movement were in their school’s theater program. We believe that creativity is *the* essential ingredient to effective leadership and civic action. It’s by learning how to find your true voice, envision the future you want to see, articulate that vision, and amplify it through creativity that you can galvanize a movement, as the Parkland teens are showing us so powerfully today. As teens, we did theater, music, and visual arts. Right out of college, Sabrina chose to work in the arts education field, funding arts programs in the Massachusetts public schools that had been slashed through repeated budget cuts and a focus on high-stakes testing. In 2003, we joined forces to start Hello!Lucky, a creative design studio that since 2016 has used its design chops and platform to publish Women’s March protest posters that were downloaded 5,000 times, raise $15K for Planned Parenthood and the ACLU through our cause pins, and, now publish our new book, Be the Change: The Future is in Your Hands. At the Women’s March on Washington, we were blown away by power of the creative groundswell on display. Those thousands of protest posters MADE the march. Each one was passionate, personal, and unique. That’s when it truly hit home: creativity is a force multiplier for change. Not only that, WOMEN are the strong, visionary, connected leaders our country needs now and in the future. Not only that, YOUNG PEOPLE, with their natural ability to harness social media and that unencumbered view of the world’s potential (the internet makes just about anything seem possible), are the creative leaders who can break through the old, oppressive beliefs and usher in a more compassionate, just, inclusive, kind and caring future. That’s when we decided to write our new book Be the Change: The Future is in Your Hands, coming out March 8 and now available for pre-order. Be the Change speaks to young people, particularly ‘tween and teen girls. It invites them to use something that they are likely naturally passionate about -- creativity -- to get civically active. 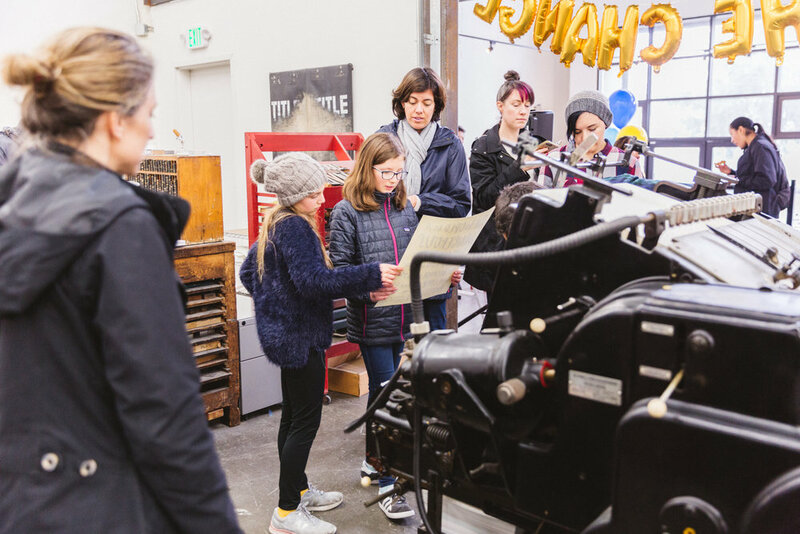 It gives them simple, inspiring crafting projects -- everything from protest posters to bumper stickers to t-shirts to postcards to their representatives to invitations for fundraising parties. It also breaks down what it means to be the change, what it means to be creative (it’s more than just drawing well! ), and how to turn inspiration into inspired action -- with everything from some basic civics to step-by-step instructions for organizing a community service project to what to bring to a protest. Being the change starts from within. Your inner world reflects your outer world, so we’ve included a good dose of age-appropriate motivation and insight on how to stay grounded, resolve conflicts, and cultivate a strong, grounded inner world that will help young women to tap into their creative voices and stay true to themselves in the face of the inevitable noise and conflict in the civic arena. In activism, as in life, there is no “right” answer. There is no black and white. Change comes through collaboration and creativity. It comes through listening to multiple points of view and leading by example. It comes through understanding why you believe what you believe, knowing your facts, and knowing yourself. It comes from being the change you want to see, through creative expression and action, and letting go. None of us can do it alone. None of us is in control. But, as evidenced by every story shared in the Pantsuit Nation community, we can each have ripple effects that can lead to change beyond any one of us could ever imagine. Listen to this week's episode of The Pantsuit Nation Podcast to hear more about our work:https://apple.co/2CcYyG2 You can also listen and subscribe on Google Play, Stitcher, Spotify, or wherever you listen to podcasts. Like so many others, we have been blown away by the courage of Emma González and her Parkland peers for speaking out in no uncertain terms about the devastating impact of America's gun culture. The U.S. owns 50% of the world's guns, while making up only 5% of its population. Just 25% of Americans own guns, and 3% of gun owners own 50% of guns. NON-GUN OWNERS ARE IN THE MAJORITY. We stand with Emma, David, and their classmates. We created these posters and postcards to help amplify their message. The bravery of the thousands of teens who are speaking out is what being the change looks like. Download, print, and share! Posters are 20" x 24". Postcards are 5" x 7". 2. Cut out and fill in message. Get your Member of Congress' address and message ideas. Valentine's Day isn't just for people in committed relationships, it's a day to celebrate all the different forms of love in your life. Self love, family love, and friend love! We love Galentine's Day because it recognizes the importance of friendship. Be good to your friends by lifting them up and telling them how much you value them! Sometimes words can speak louder than actions :). Just a couple of old school Galentines, ready to be printed, cut, signed, and delivered! Use this FREE printable to get started. The Women's March 2018 was once again so inspiring, empowering, and unifying! We were thrilled to be marching with so many girls, women, and men in San Francisco this year. The crowds...by some estimates 50,000 - 60,000 Bay Area residents marched! Once again, the best part about the march was the creativity on display -- so many amazing slogans, drawings, costumes. This is what inspired us to write Be the Change: the Future is in Your Hands -- your creativity can amplify your voice and unify people around a cause! A lot of marchers were fired up by the #TimesUp and #MeToo movements. We marched with this amazing group of women, many of whom made posters with us the day before at our Women's March Poster Making Party, co-hosted by the amazing Women at Zynga! They put the "social" into social justice! There were lots of mothers and daughters marching together. Loved this sweet moment. Eunice holding one of our protest posters over the crowds. 2018 is going to be a great year. Be bold, be brave, show up, support each other, and make your voice heard!